Whether you’re an ultra-chic fashionista or a pretty, ethnic Indian-sporting stylish diva, you all drape beautiful scarves over your outfits to waft up some sophistication. 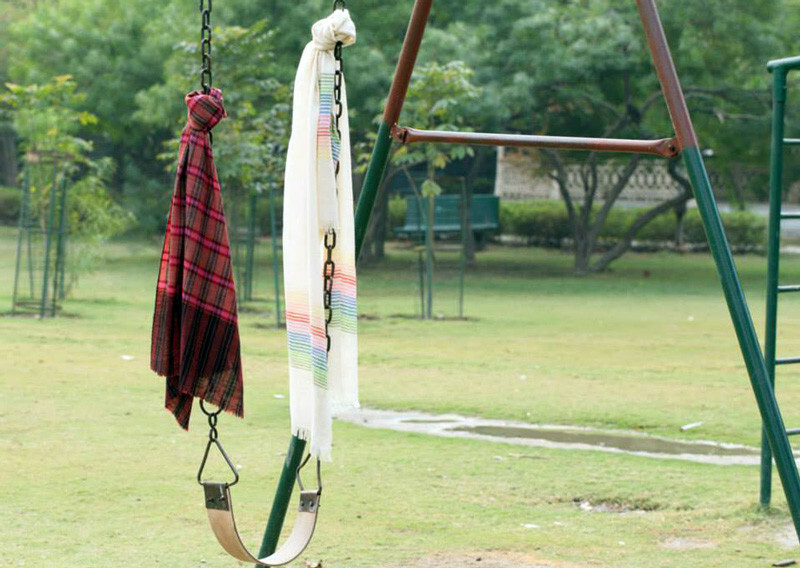 Scarves and stoles are fun, vibrant, classy, sophisticated and just you - all rolled into one. 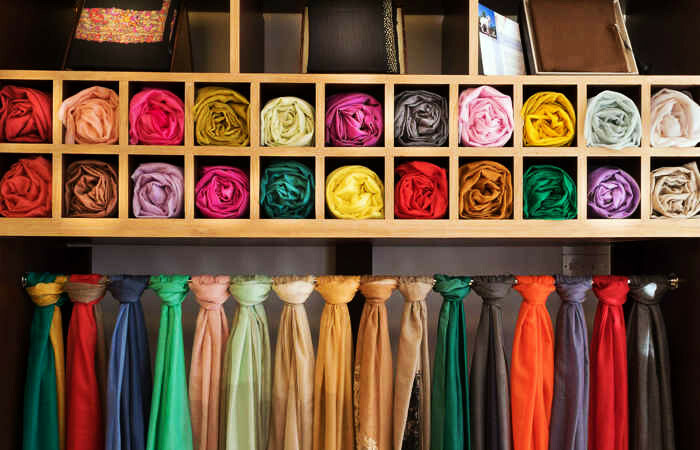 Let us take you on a tour of the best, most exclusive places to pick up the most gorgeous scarves! A grande dame of a store, Tulsi is earthy, traditional and unapologetically Indian. 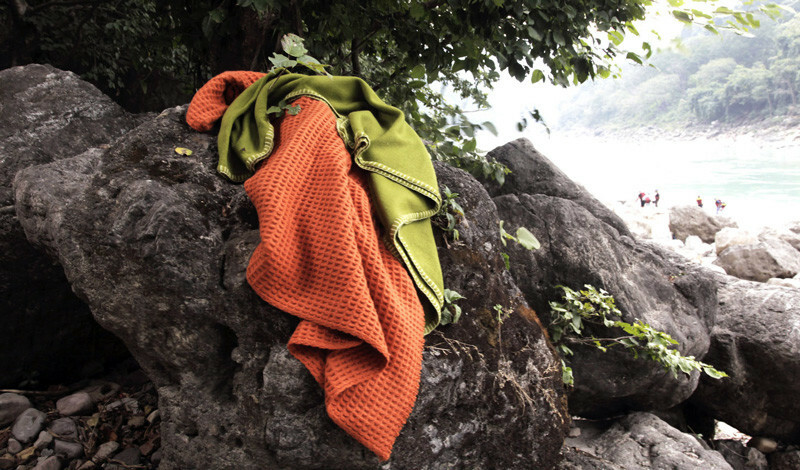 Beautifully crafted textiles in surreal, alluringly bold colours, their collection is truly staggering. Delicately embroidered, print motifs, textile-based, long, short and everything-in-between, Tulsi is one of the rare breed of stores that actually boast a full collection of elegant scarves you probably won’t get anywhere else! Happy draping! Each piece of their collection is carefully curated and each process that goes into making their fabulous creations is done in-house, from carding to combing, specialty spinning and weaving. They even customize your pieces according to your specifications, including embossing your name on your favorite scarf or even weaving in a specific motif or design into your shawl. 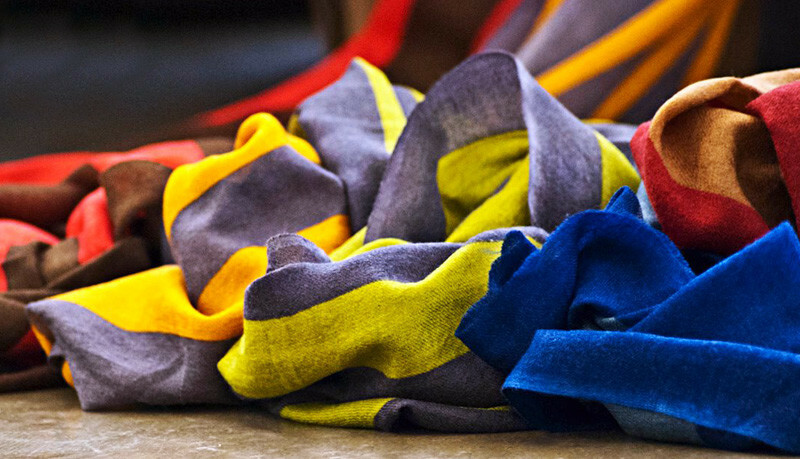 An uber-exclusive cashmere brand, all their creations are made with 2/200 count from the goats of inner Mongolia. 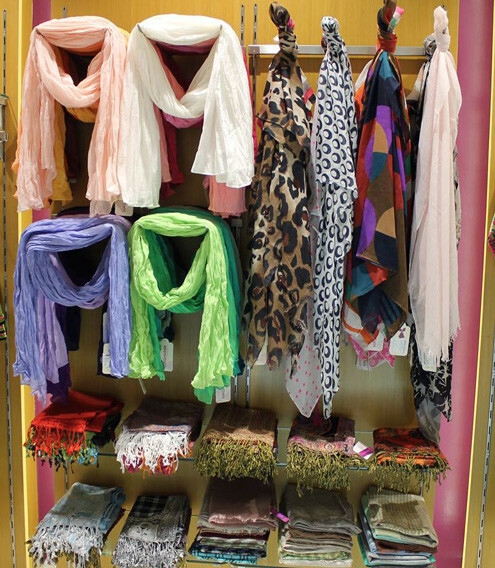 A choice store that offers you the very best, their scarves are light, feather-weight, flawless and make for the perfect accessory! You can choose from their range of Quintessential Lace, Embroidered Stoles, Signature Creations and Ultrafine Cashmere ranges. Self-described as a brand of contemporary Indian handwoven textiles crafted using traditional techniques, they eschew any sort of pre-set notions and set about to create great, wearable pieces that showcase Indian beauty. 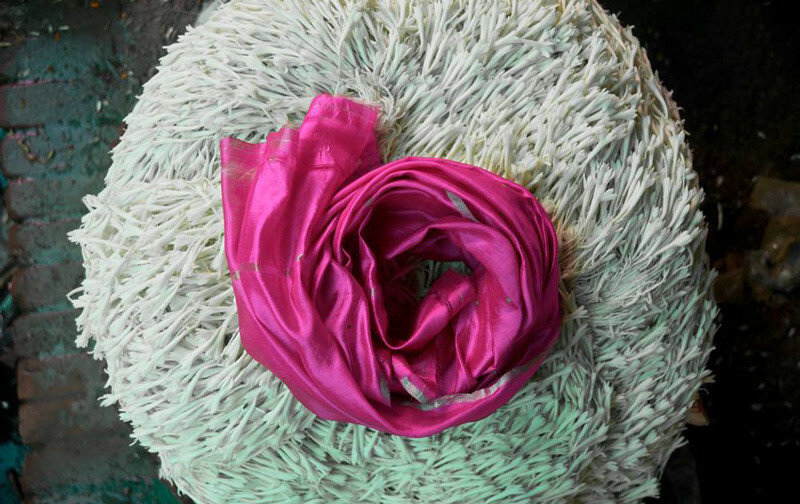 Pick up beautiful scarves, stoles, odhnis and shawls in a motley collection of fabrics to your heart’s content here! A unique, niche online store, Craftisan puts together beautiful collections of pieces sourced from all parts of the country. Their super-accessible online store features a treasured collection of pashmina stoles and shawls that will appeal to the connoisseur in you. With premium fabrics and a motley collection of styles, they conveniently ship all over India. Happy shopping ladies! A trendy online store that houses a fabulous collection of all manner of stoles, shawls and scarves imaginable, Scarves & Glitters is a great place to shop on-the-go. From chic Infinity Scarves to Ruffle Scarves, Cotton Printed Stoles, Digital Printed Stoles and Jewellery Scarves - they’ve got it all! Need we say more? Click away! Just carpets, you say? Think again! 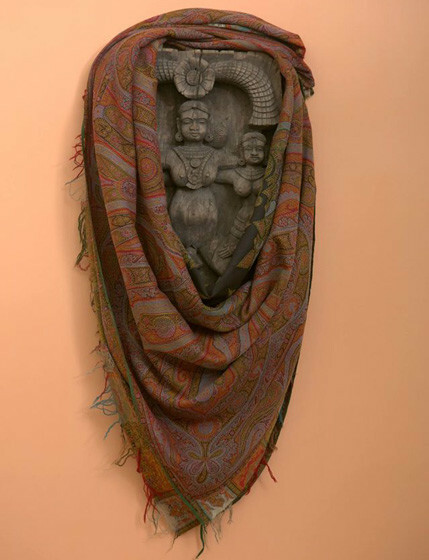 The Carpet Cellar also plays host to a spectacular, little-known collection of the purest pashmina stoles and shawls. They’ve got a really select range of exquisite, well-made pieces that absolutely sparks off class and sophistication. Check out their website for a quick peek at their collection, or visit their store - you won’t be disappointed! Featuring bold block-prints in a colorful patchwork of designs reflecting a bygone Mughal era, Anupama Dayal’s flagship store in Khan Market - Anupamaa is a visual delight. Her airy, casually intricate designs are an absolute must-have for any occasion. 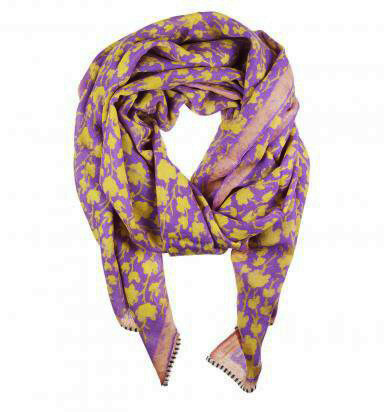 You’ve got your floral print scarves, geometric pattern scarves, block print scarves - basically all things cute, charming and vivid! Check it out! Label Rinchen is a recently launched, all-out organic fashion label which designs beautiful clothing, shoes and accessories. They make indigo kurtas and tie and dye dupattas which look super classy! All their products are naturally dyed, handcrafted and hand blocked. 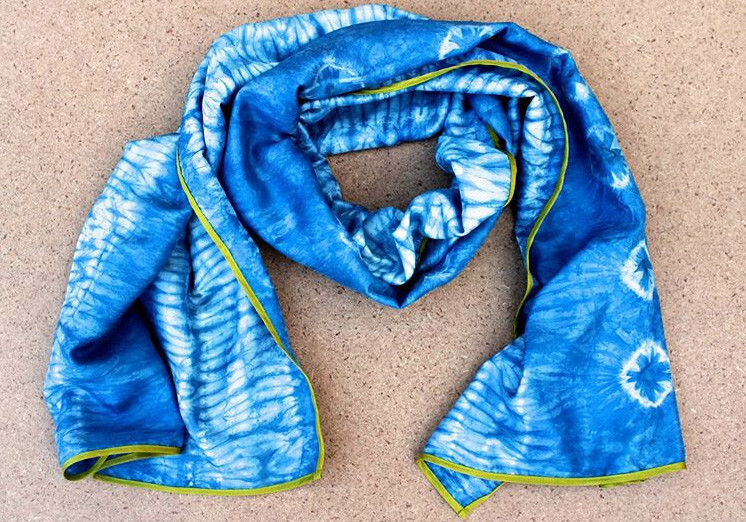 If you love tie and dye dupattas, Label Rinchen is your newest haven! A much sought-after destination for all things Indian and ethnic, this massive place brings together the best designers (National Award-winning, some of them) and craftsmen from all parts of the country! With myriad stalls in every nook and cranny, Dilli Haat is the hub for every manner of niche textiles, scarves, shawls, odhnis, stoles - et al! Heading there already?